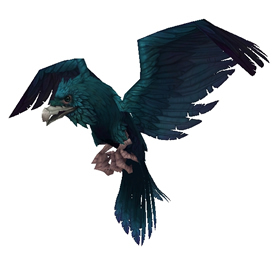 The Gilnean Raven is a trainable pet in Mists of Pandaria. However, only Worgen are offered this option from Battle Pet Trainers. Once learned, all characters will have access to this pet. Worgen may also learn this pet from Audrey Burnhep in Stormwind. This raven was my first ever level 25 pet! I run with Alpha Strike, Call Darkness, and Nocturnal Strike. I can't buy this (she isn't selling it) from Audrey Burnhep, even though I'm a Worgen and revered with Gilneas. I also checked with the guy in Darkshore. They only sell battlestones now. Am I missing something? Is the only way to get this on the AH now? (March 2017). Thanks. Apparently I already had one. It was just Uncommon, not Rare. Sorry. Was looking for a S/S breed for months on the AH. Finaly i got one level 25 for 8k !!! The new model broke the animations. Well done, Blizz. I am very disapointed in that the new model doesn't look like a raven anymore. It's the beak! Got a fairly cheap P/B on the AH recently—still cooler than B/B. I wonder if it's worth searching for S/S, or I should just stone this one? What surprises me is that the extinct breeds still do occasionally appear on the AH. I'd have thought they would be long sold away by now. asked how much they wanted...they said idk 5k? tfw you buy an S/S Raven for 8k. then send the guy another 12k in the mail to make yourself feel better :'(. Darkness Teams included: Spectral Spinner, Death Adder Hatchling, Dread Hatchling, Widget the Departed, Bone Serpent, Frostfur Rat/Ghastly Rat as undead killer Darkness carry. Brian, as per Thirroxin's comment of Dec 23 2013, only B/Bs are sold now. Others exist that were bought previously. If you are looking for the Call Darkness - Nocturnal Strike moves in an S/S build, the Crow is a good alternative. For a Power build, the Dread Hatchling is way more powerful than either Ravens or Crows, devastating for Vale aquatic levelling. I've rolled up 14 worgen (and deleted all but 3) just to get something besides a B/B raven and no luck. Are there other breeds besides balance/balance? I just picked mine up in Lor'danel on my Worgen, I had a "DOH!" moment when I realized I had never grabbed her on my level 100 hunter. It says S/S on battle info but I just got one that is B/B ? While it has been reported to be otherwise in another post, you CAN (as of 6.0.3) buy this after creating a Worgen DK and playing through the DK area. Took me just under 2 hours. I think this one is really overrated. I'd pick a moth over the raven any day. I started a Worgen just for this Raven and got bored after level 7 since there was nothing to do except that boring storyline, deleted and will try the DK route instead. I'm a total Horde character and have have no desire to build Alliance other than this highly rated raven. But lately I've been finding that my Frostfur Rat has been a wonderful subsitute for high-end battles where people have recommended using the Gilnean Raven. 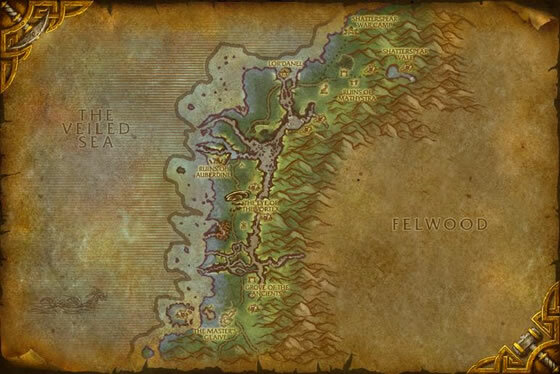 As a horde, you have to start a level one Worgen, level it up to 12, when you can leave their starting area, and then travel to Stormwind, and puchase one. You are only allowed the one from what I can tell. If that is wrong and there is a way to get more or sell them so people dont have to go through this let me know. I am so disappointed in myself. I forgot to check stats before posting one of my ravens on the auction house. Someone got a sweet deal on a S/S raven. Just tried the trick recommended in Wowhead forums of shortcutting the long, long Worgen startup quest chain. Worgen DK can finish the DK startups much more quickly. Blizz seems to have caught onto this though, trainer Audrey in SW wouldn't offer the Raven to my DK. Apparently you now have to have gone through and completed Worgen startup zone. And yes, as other posters have pointed out, the Raven always comes uncommon and, since patch 5.2, only B/B. Ravens acquired before the patch retain their original qualities. Can occasionally find some of the more desireable S/S and P/S in AH, but be prepared to pay dearly. Quoth the raven: the last word you said. It gets old.